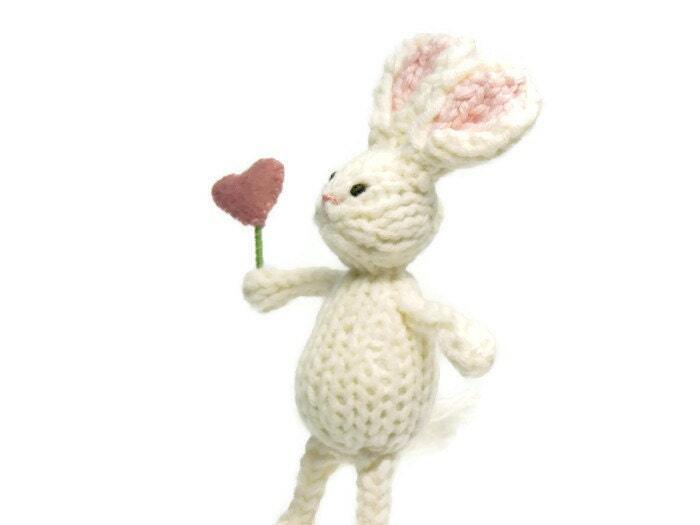 This adorable white bunny holding a little pink heart will make anyone smile. 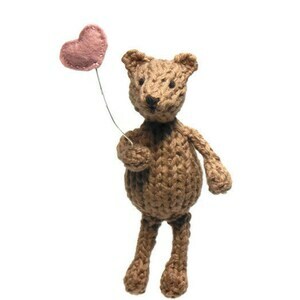 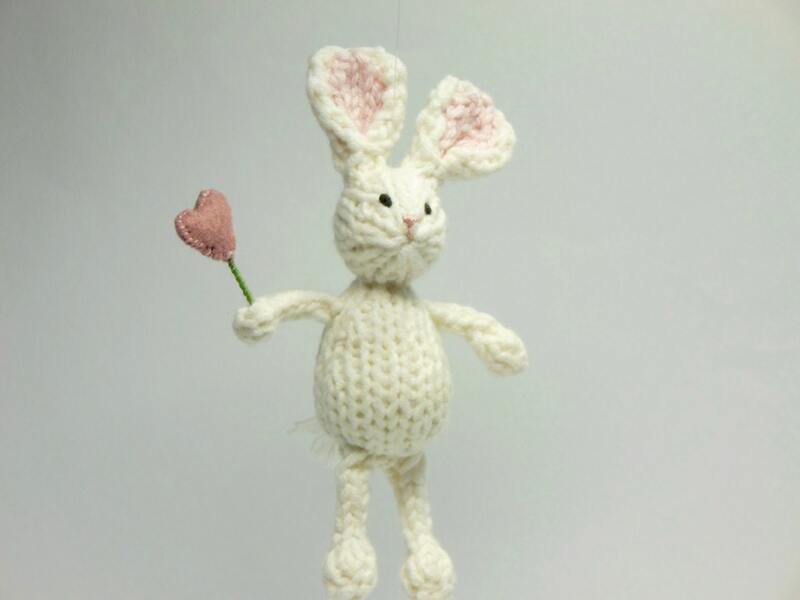 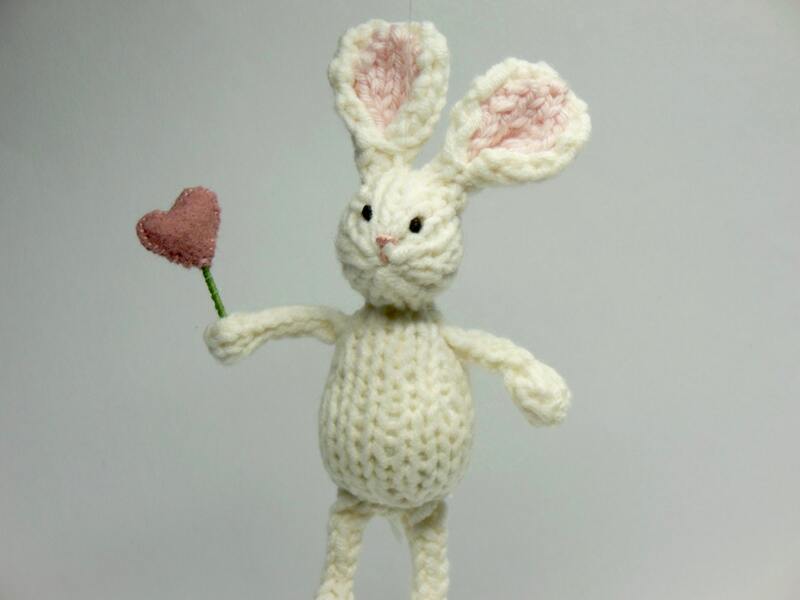 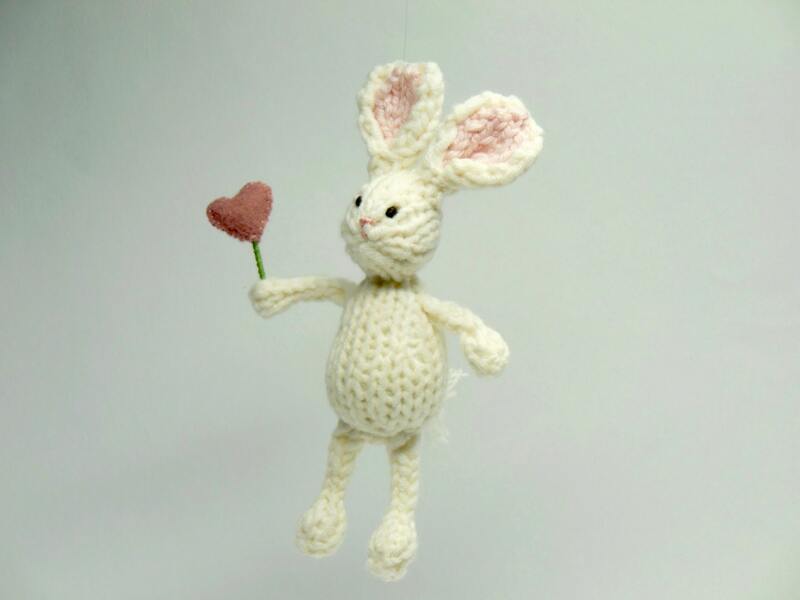 This bunny ornament is perfect for Valentine's Day and equally nice on any day. 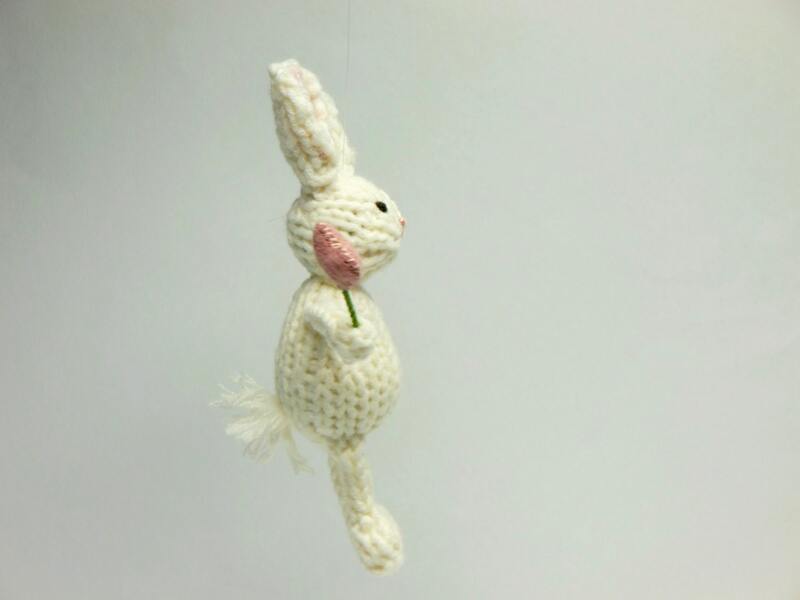 It is hand knit with wool/alpaca and measures 6" from ears to feet. 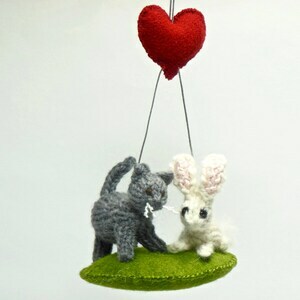 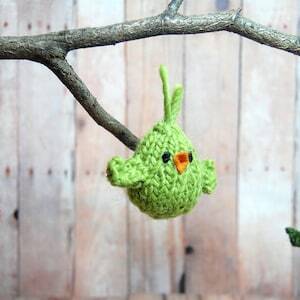 »»» This ornament can be custom made in any fiber or color combination. 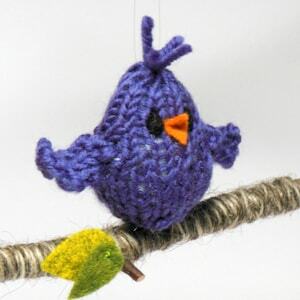 Please contact me with your requests.